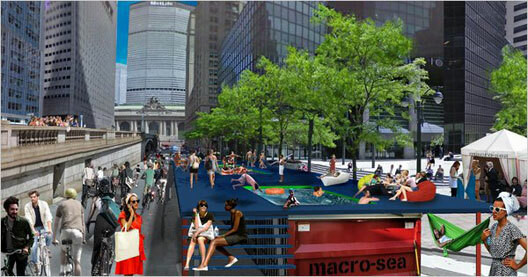 Grab your swim trunks because this year’s Summer Streets will now have 300% more pools. That’s right pools. The “dumpster pools” of Gowanus are officially moving on up to the East Side. Three former dumpsters will be recycled and transformed into pools on the east of Park Avenue between 40th and 41st Streets this summer as part of Summer Streets 2010. For the third year in a row, the City will temporarily close Park Avenue and connecting streets from the Brooklyn Bridge to Central Park to motor vehicles and open it up to people on three consecutive Saturdays in August (August 7, 14, & 21). Check out more details on the DOT official site here.